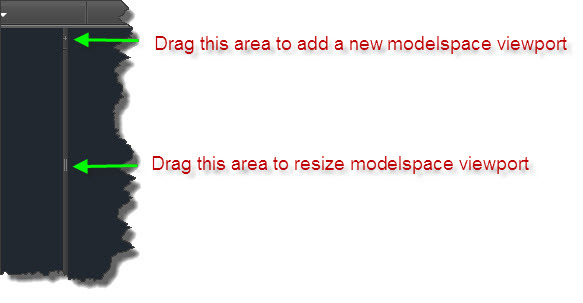 AutoCAD 2015 now makes resizing model space viewports intuitive and easy. 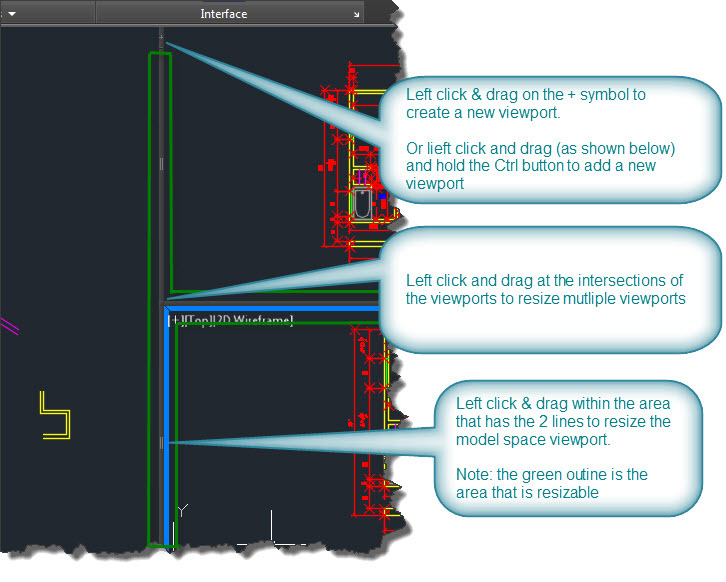 If you use multiple model space viewports, you’ll love this feature. A special note needs to be made that the frame of the model space viewports has 2 areas. The area where the plus sign + resides is meant for adding a new viewport. The other area consists of the rest of the viewport edge and has the symbol with 2 lines. Resize a viewport by simply left-click and dragging the edge of the viewport within the “2 line” area. The intersection of multiple viewports can be dragged to adjust the size all of the intersecting viewports. To add a new model space viewport, you can left-click and drag the plus sign + near the top or right side of the viewport edges. You can also left-click and drag anywhere along the viewport edge and hold the Ctrl key to make a new viewport. If you would like te delete a viewport, you can simply drag a viewport edge until it collapses. This entry was posted in AutoCAD 2015, New in 2015. Bookmark the permalink. How do I create a view port ins paper space, within my company boarder?